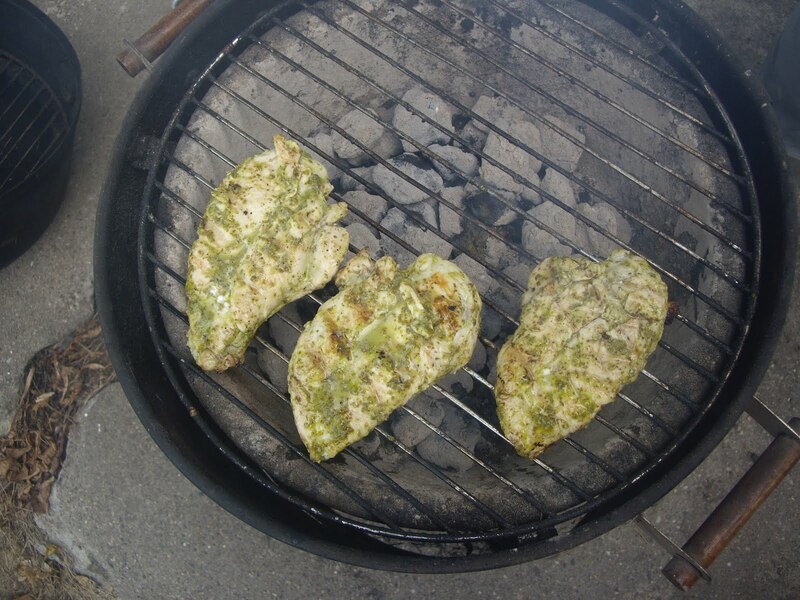 Marinating your food before cooking or grilling adds moisture and so much flavor. This is one of my favorite marinades. It is really great for seafood and chicken. It doesn’t take a lot of basil, but it packs a big flavorful punch. You will need a blender or food processor. 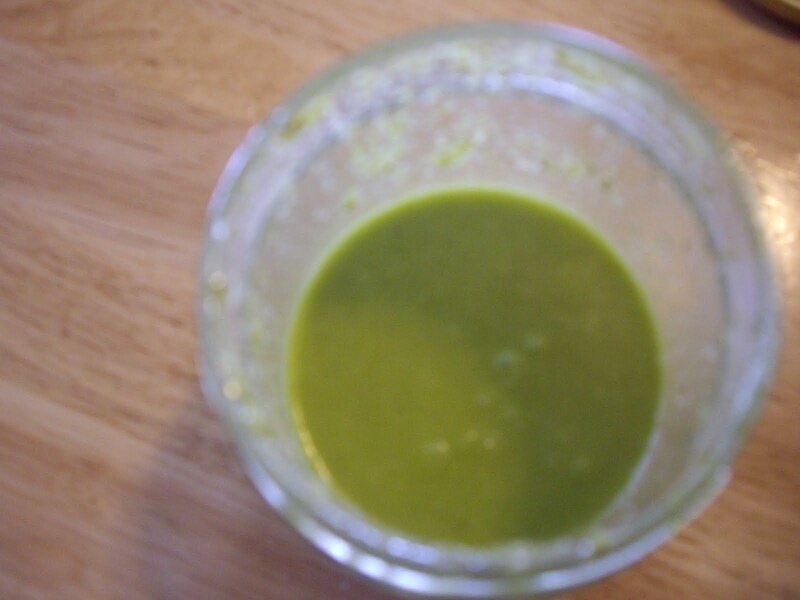 Put all the ingredients into the container of blender and blend until you have a smooth paste. Now you can pour it into a jar and store in the fridge for up to 3 days or you can use it immediately. This will make 1 cup basil marinade and will marinade 3 pounds of meat. You marinate seafood for an hour and poultry for 2 hours. I’d like to thank Steven Raichlen for his marvelous recipe. 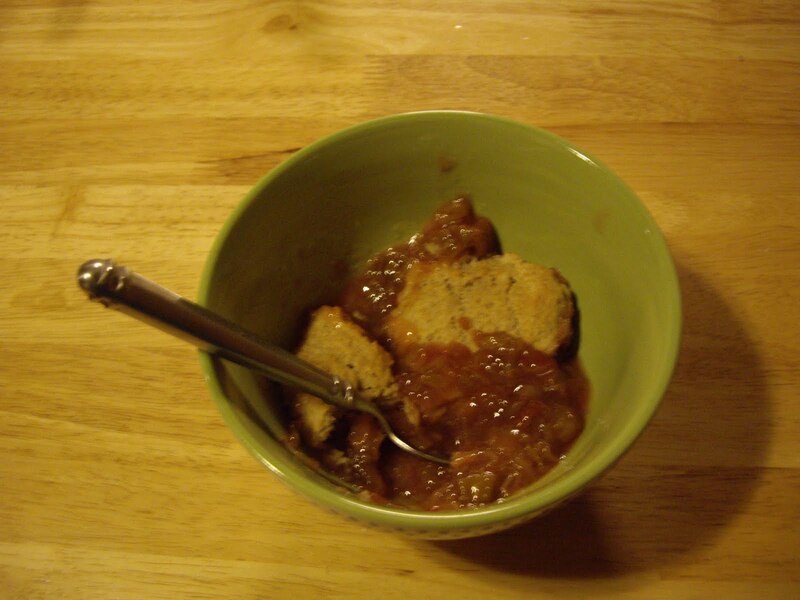 Rhubarb cobbler is a great treat. It is best when it is warm from the oven, but tasty when room temperature also. You will need a 2 quart baking dish. A 9″ square pan will work great. In a medium saucepan, mix the 1 to 1-1/4 cups sugar, the cornstarch, cinnamon, and rhubarb. Let stand for ten minutes. While that is going on, make the topping. 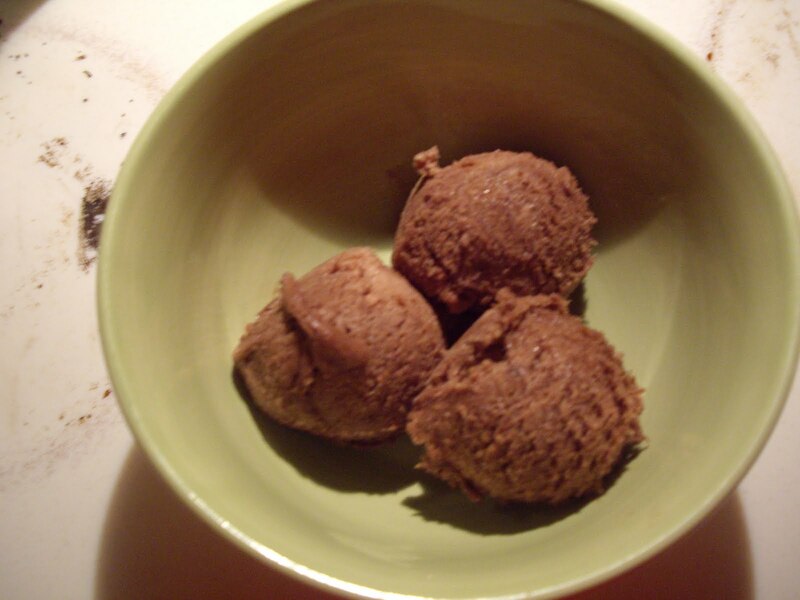 In a medium bowl, mix the flour, 1 Tablespoon sugar, cinnamon, baking powder, and salt. Cut in the butter til it is crumbly. For the filling, turn the heat on and cook until it is thick and bubbling. Make sure to constantly stir so it won’t burn. Pour the filling into your baking dish. With a large spoon, drop 6 to 9 mounds of the topping dough over the filling. Bake for 20-25 minutes til the topping passes the toothpick test. 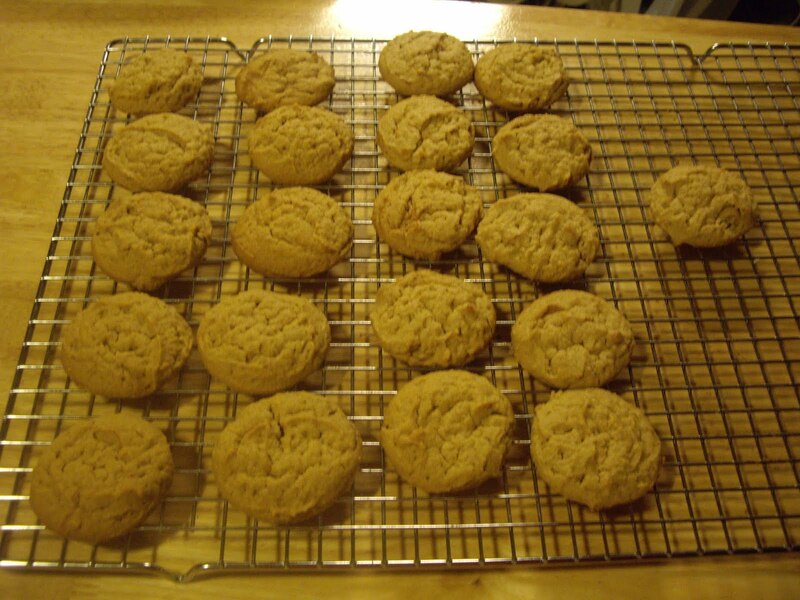 What collection of recipes is complete without a peanut butter cookie recipe? These peanut butter cookies are a little different because they are more chewy than the traditional peanut butter cookie and there is no criss-cross on the top either. They have a slight crispness on the outside, but are soft inside. Lightly grease cookie sheets. Or line the pans with parchment paper. In a mixing bowl, cream the butter with the brown sugar, sugar, corn syrup, baking soda, salt, and vanilla extract. Add the eggs, one at a time. Beat the first one in well before adding the second one. Add the peanut butter and beat until the mixture seems light and fluffy. Drop the cookie dough by the tablespoon OR a medium cookie scoop onto the baking sheets. Bake for 15 minutes. They will be a light golden brown around the edges. Do not overbake or they will turn out crispy instead of soft. Take off the cookie sheets and let cool on a rack. This will make about 4-5 dozen cookies. This is a simple and super yummy dish to make. It only takes 20 minutes or less to put the whole thing together. 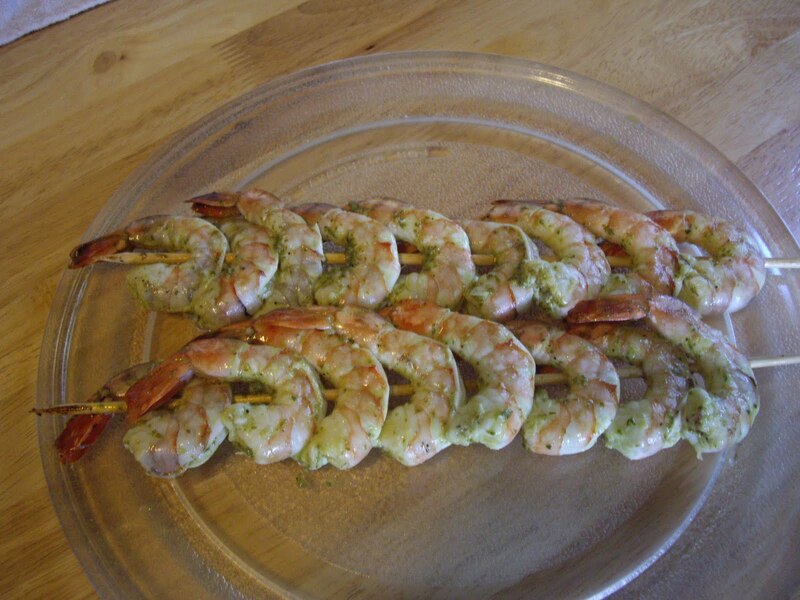 Thaw shrimp, if needed. Peel and devein shrimp, if needed. In a large skillet, heat the butter over medium high heat. 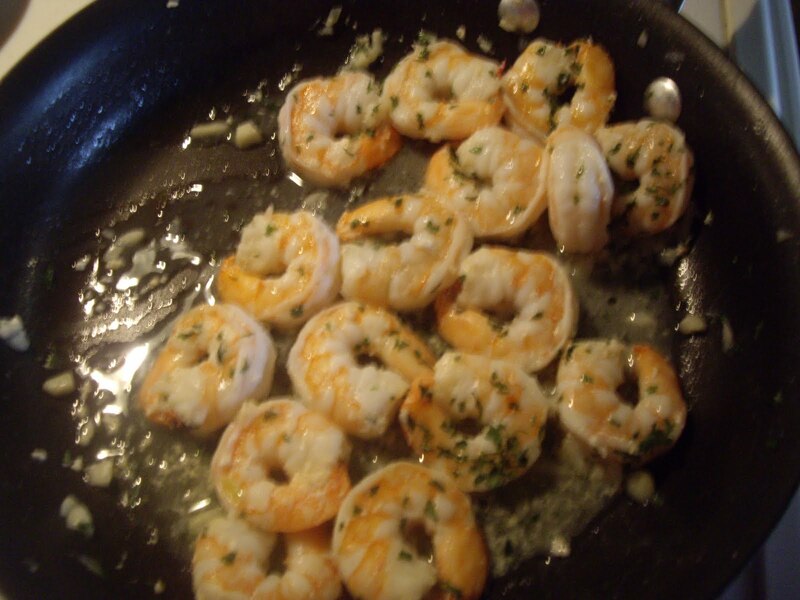 Add the shrimp and garlic. Cook, stirring frequently for 1 to 3 minutes or until shrimp are pink. This will serve 3 to 4. This goes fabulously with a side of cooked rice.